il Dolce Gelato continues to create new recipes that are sure to excite your palate. Whether you are looking for classic Italian flavors like Spumoni, Stracciatella, and Limone, or original flavors like Cioccolato Habanero, No Bake Cookie, and Coccocello, you won't be dissappointed when visiting our gelateria. If you can't find the flavor you're looking for, suggest a flavor. 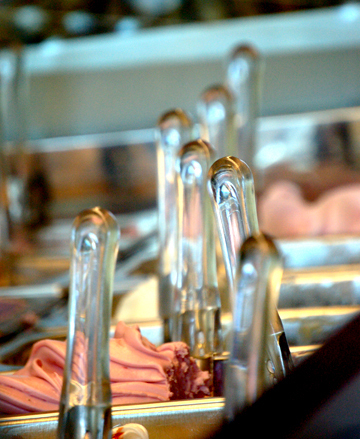 You might be surprised to find it when you walk into one of our gelaterie some day. ©2007-14 IL DOLCE GELATO Che bella giornata per gelato.